ISLAMABAD, Jan 28 (APP):Noted Na’at Khwan and Urdu poet Muzaffar Warsi was remembered on Monday on his nineth death anniversary. He had died on January 28, 2011 in Lahore. 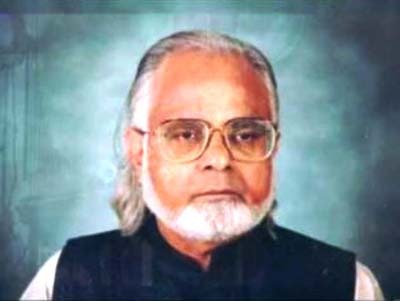 Muzaffar Warsi, who was an Urdu poet, critic, essay writer and lyricist, was born on Dec 23, 1933 in Meerath, India. He won wide acclaim for reciting Na’ats [poems in praise of Holy Prophet Muhammad(Peace Be Upon Him)] in his s melodious voice, many of which are even today being used as mobile phone ringtones. One of the famous recitals over the years has been: “Koie to hai jo nizam-i-hasti chala raha hai”. As a Na’at Khwan he won celebrity status and the government honoured him with Pride of Performance.